Looking for an icy vaping experience with a smooth finish? Look no further than EVO Spearmint by Halo. Frosty spearmint flavor will leave you cool and refreshed, with an unparalleled smoothness from a nicotine salt formulation. 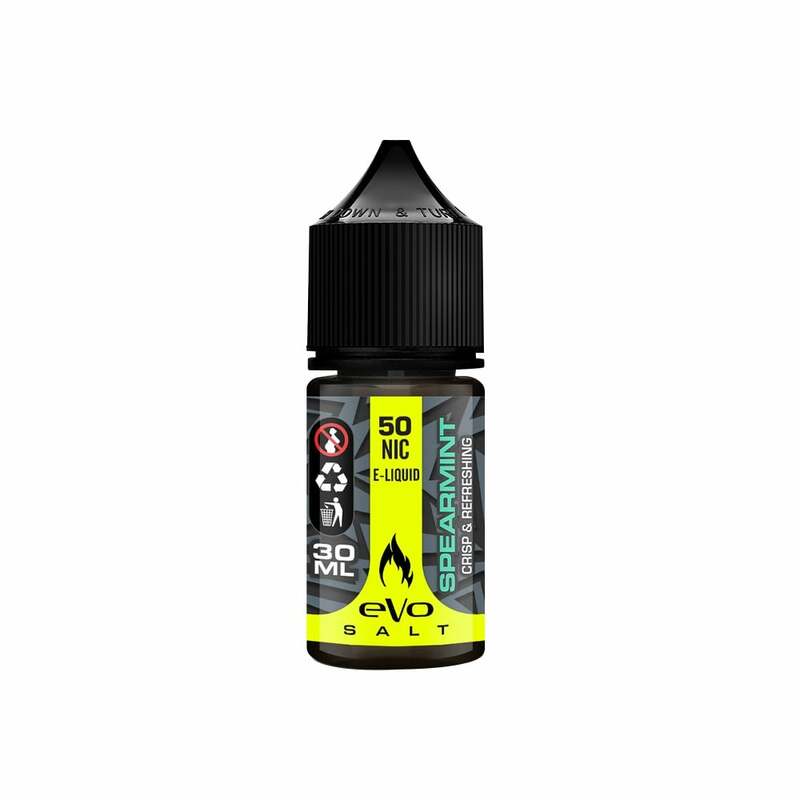 Halo EVO vape juices come in 30ml bottles and are available in 35mg (3.5%) and 50mg (5.0%) nicotine strengths. This is the best juice I have found! If you like that throat hit you’ll love this! This is not spearmint. It is very very strong menthol. Closer to SUBZERO juice then anything spearmint. Need to change its name.